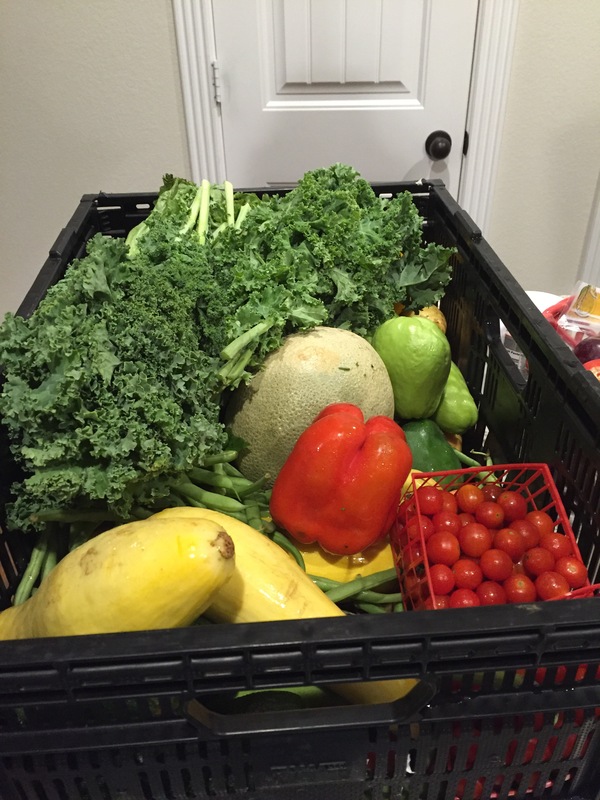 We just recently started having organic, farm fresh veggies delivered direct from the farm. They fill up a giant crate of whatever they have on hand and deliver it right to my door. 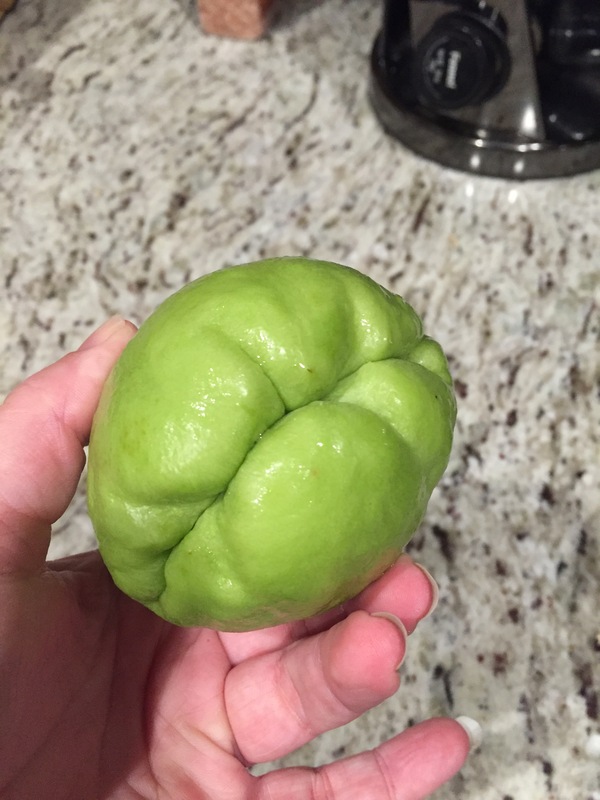 It was a chayote squash and it is delicious! It almost tastes like a cucumber. I put it in salad and it was great! 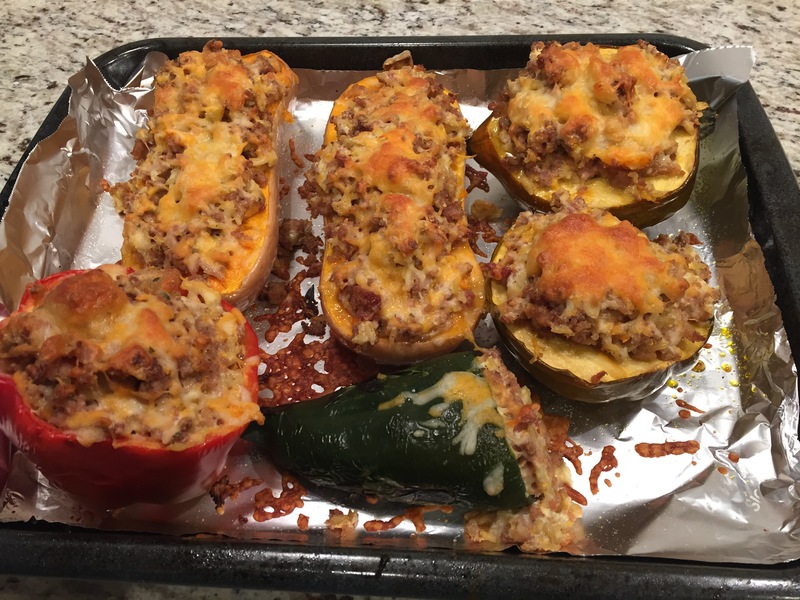 I’m not a big fan of bell peppers so I decided to use a stuffed bell pepper idea to cook up the one we got this week for my husband and I’m really feeling like fall is right on the horizon so when we received a butternut and acorn squash I wanted to stuff those as well. And so this recipe was born! For the squash, you have to pre-cook it. I used my husband to assist with cutting the squash in half- those suckers were hard as a rock!! Take the seeds out, brush with olive oil and salt and put in an oven pre-heated at 350 degrees for 45 minutes or until tender. 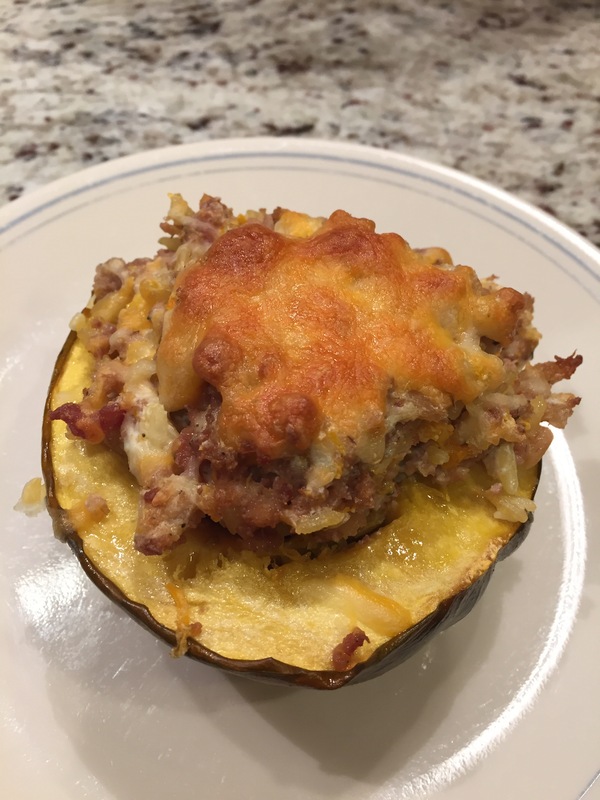 While the squash is cooking, brown 1 pound ground turkey mixed with about 6 pieces of bacon finely chopped or ground. Add salt, thyme, fennel seed, onion and garlic powder to taste. Mix well. Once cooked through, add mixture to 1 8oz brick cream cheese and 2 cups cooked rice. Mix well. If making peppers in addition, roast over open flame until blackened in spots, then cut off tops and remove seeds from inside. Remove squash from oven once cooked through. Scoop out a bit more of the butternut squash and add to mixture to give more room for stuffing. Add filling to stuff all vegetables and sprinkle with a bit of shredded cheese. Put back into oven and cook another 20-30 minutes until heated through and cheese is brown and bubbling. Bet this one is delicious! Excited to cook the recipe by myself!